We are moving into week two of the ongoing cardinal square/Grand Cross drama and many of us may notice a sharp uptick in vicious rhetoric flying around. This week’s is Mercury in Aries. On Monday Mercury leaves reticent Pisces for blunt, opinionated Aries and the noise level will begin to increase. However it is next week when Mercury in Aries will trigger the cardinal T-Square and the angry words will really begin to fly. When the Aries Sun faces off with retrograde Mars in Libra on Tuesday, interpersonal relationships can take a hit due to short tempers and the desire to let our resentments be known. If this energy can be harnessed by an effective partnership, an amazing amount of work can be accomplished. It depends on how well the partnership is functioning going into this week. If people are already on the outs, revelations in the heat of the moment could finish things off for good. Naturally when we need tact and patience the most, it’s hardest to summon up. Saturn in Scorpio steps up to question the Aries Sun on Saturday via an inconjunct. Scorpio frequently wonders whether or not Aries has really thought things through before throwing themselves into their next big project and Saturn’s presence ensures the hard questions are asked. This may cause grumbling in the ranks but the necessary backtracking will be worth it. Once again it is the second half of the week with the fewest distractions and the best time to concentrate on taking care of necessities. For those like myself who need some uninterrupted quiet time in order to get the brain to function properly, those moments are precious indeed. 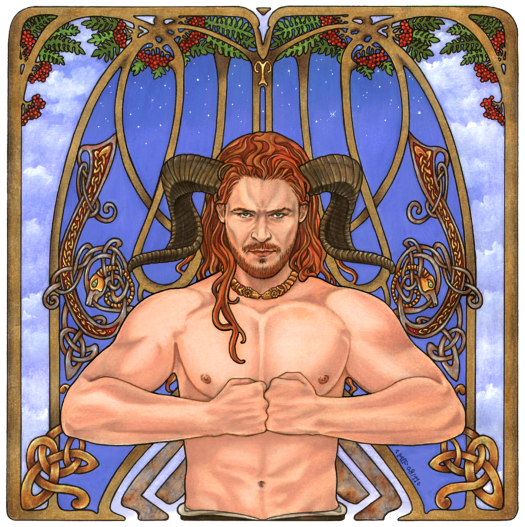 Aries, you are probably aware how your tendency to sound off can get you in trouble, so please remember this will likely get worse over the next couple of weeks. There is a good chance your frustration levels will build late in the week. Other people’s little dramas may be getting to you, Taurus, and you might not want to get involved any more. What you’d really prefer is hanging out with your peers, eating wonderful food and enjoying your favorite music. Give yourself permission to do that next weekend. There is nothing you enjoy more, Gemini, than a good battle of wits! Your thoughts could take on a more combative tone than usual now, so please take care not to say deeply hurtful things. Be careful about daydreaming too much at work too. Communications from higher ups at work may take on a very abrupt tone for the next few weeks, Cancer. Chances are this has more to do with the stress they are feeling rather than something you’ve done. Take time this weekend to relax by the water if you can. Efforts to speak softly and take a conciliatory tone when challenged is getting harder and harder for you, Leo, and early this week you might reach the breaking point. If you snarl back, be aware the resulting arguments may last longer than you anticipated. Careful! If you are meeting with accountants or bankers over the next week or so, Virgo, you may end up raising your voice due to frustration. Thankfully spending time on the weekend with your significant other should do good things for your blood pressure and restore a measure of calm. You may be tempted to jump back into the ongoing drama swirling around you, Libra, though a wiser course of action would be to let it go for now. Take time over the weekend to relax with a favorite romantic novel, movie or a bubble bath complete with scented candles. If someone you work with messes with your schedule one more time early in the week, Scorpio, you may be very tempted to do something rash. There are far more pleasant things to think about like planning a special weekend with your lover. Get creative! Be very, very careful when assessing the risks you are considering taking now, Sagittarius. Wishful thinking on your part or that of your peers could come back to haunt you sooner than you think . . . as in later this week. You’ve been under stress from attempting to meet your boss’s demands at the same time as your family is asking more from you, Capricorn, and this may turn into open warfare early in the week. Be tactful, kind and honest with both parties . . . after all there is only one of you. You know how I’ve been nattering at you, Aquarius, to count to ten before opening your mouth? Well, that becomes even more important starting this week. Take care or risk alienating someone dear to you. This situation is far worse next week. Use tact! Pisces, your ability to exude an aura of mystery and glamor increases dramatically over the week. Be aware others may not be seeing the real you now and this may create plenty of confusion down the road. Be careful how you play with this.